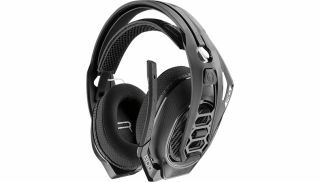 Plantronics announces Dolby Atmos headphones | What Hi-Fi? Dolby Atmos is a technology we usually see in AV receivers, speaker packages (such as the S-73A) and soundbars such as the Yamaha YSP-5600, SJ9 from LG and Sony's HT-ST5000. But Plantronics has now built it into headphones; specifically, its RIG 400LX, RIG 600LX and wireless RIG 800LX headphones (pictured above). The headphones will be bundled with a code that activates Dolby Atmos functionality if you're using them with the Xbox One console, a Windows 10 PC or the upcoming Xbox One X. Plantronics has partnered with Dolby Atmos for one year, and will be the only manufacturer to have an Atmos activation code to come with the headset. Dolby says that Atmos headphones are beneficial for gaming because they make it easier to quickly pinpoint where enemies or objectives are just by sound, providing a "more intimate and accurate sense of the digital world around them” - and might give gamers the competitive edge when playing League of Legends or Overwatch. Of course, this relies in no small part on the sophistication of the audio product itself - not just the surround-sound technology. Alongside its Dolby Atmos capability, the wireless RIG 800LX has a 24-hour battery life, 40mm drivers, noise-cancellation and voice feedback that lets you monitor your chat quality when using the microphone. It's wirelessness comes via an adapter that plugs into its USB-output, so it'll work with both console and computer. The RIG 600LX and RIG 400LX headphones are cheaper, wired versions that also feature noise-cancellation, aux inputs for music and a microphone for voice chat. There is also an amplifier module that allows you to control the balance between in-game sound and audio from voice chat. The RIG 800LX is priced at £140, the 600LX at £120, and the 400LX at £90. All three will be available in September. There are also promotional PC-compatible RIG 400 and RIG 600 headphones for £55 and £80, respectively; however these lack the amplifier module for balancing sound.